Stuff you can do this summer: Attend fashion school! Have you always fancied people wearing your designs? Have you dreamed of creating beautiful clothes that immediately uplift a girl’s mood once she’s in it? Whether you’re a teenager, a college student or a working girl who dreams of pursuing a career in fashion, it’s never too early or late to achieve your designing ambition. 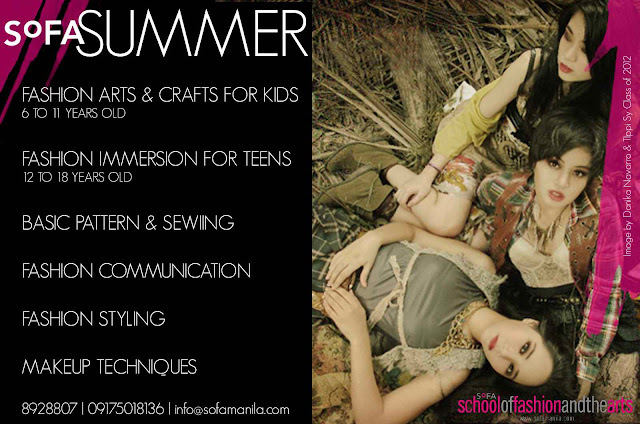 Here are some of the fashion schools in Metro Manila and the courses they’re offering for Summer 2011. For those who’ve always wanted to learn to sew, this basic workshop covers the techniques and skills you’ll need to sew everything from soft furnishings to simple garments. All exercises are hands-on. This hands-on, focused workshop will teach you everything you need to know to create ladies’ pants. For enrollment inquiries, please call 887-3390/92, 586-8780 or 0917-89SLIMS (75467). You can also visit their website or go to their Facebook page. Whether you are a professional, a student or simply want to add value to your personal skill set, take our weekend courses that last seven weeks for a total of 42 hours of training. This six-weekend makeup course is for professionals, hobbyists and anyone interested in acquiring artistic makeup skills! Learn techniques in fashion makeup and create head-turning looks.From the catwalk to photography to special celebrations, express your creativity and be the makeup artist in demand! Acquire the skills to conceptualize and create jewellery and fashion accessories. Whether you want to start a business or simply acquire a creative skill, this course will showcase your artistic flair! Take your place in the competitive field of fashion photography and learn about advertising, how to produce billboard-worthy images, and how to use elements of design to bring your vision through the lens to the next level. MAKATI: 2nd Flr., OPL Bldg., 100 C Palanca cor. dela Rosa St. 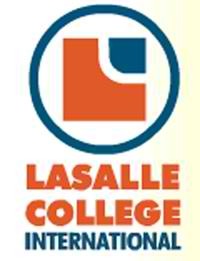 The Fashion Institute of the Philippines offers year-round courses like Basic Fashion Design, Basic Pattern-Making, Fashion Merchandising, Fashion Buying, Fashion Styling, Fashion Make-up, Hairstyling, Fashion Photography, Tailoring, Sewing, Knitting, Bag-making, Fashion Accessories and a whole lot more. Stuff to do this summer: Learn to SING, SPEAK & PLAY w/ Trumpets Playshop and Musicademy!